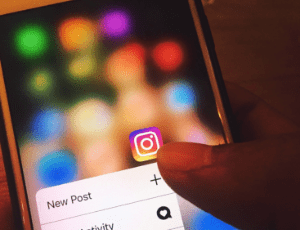 Yesterday, in an interview with the BBC, Instagram boss Adam Mosseri revealed that the company will be changing its policies and preventing users sharing images of graphic self-harm and suicide. This follows weeks of discussion and news coverage on the suicide of Molly Russell in 2017 and the role that social media may have played in her death. PAPYRUS has been working closely with Molly’s Dad, Ian Russell, to share the story of the family’s grief and their serious concerns over the distressing material Molly was able to access on social media. Following this story, PAPYRUS was approached by Instagram and its parent company Facebook, and asked to be part of a consultation on the display of graphic self-harm and suicide images. Over 30 families contacted PAPYRUS in the wake of Molly Russell’s story – each family felt that social media played a role in their child’s suicide. We raised concerns over the inadequacy of social media, community guidelines and policies. We also pressed for better filtering of inappropriate content. PAPYRUS welcomes the latest announcement from Instagram and will keep a close eye on how things progress in the coming weeks and months. We hope that other social media platforms follow suit and we would encourage them to do so. Crucially, PAPYRUS also remembers that at the heart of this issue are vulnerable young people, many of whom may have thoughts of suicide. We know that there are many factors that can contribute to the suicide of a young person.